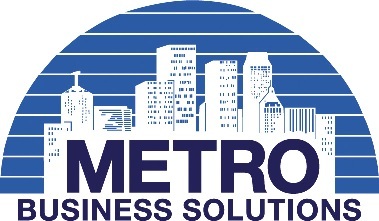 Metro Business Solutions was recently acquired by The dTech Group/DTECH Computerists, Inc,, Metro Computer Solutions, Inc., Metro Business Solutions, Metro Typewriters, Inc., all family owned businesses serving Oklahomans for more than 40 years with offices also, in Louisiana and Oregon. We normally answer the phones as: DTECH-METRO. The mergers mean clients now have access to more products and services, including wide-format printer/plotter repair, hardware repair, software development, network implementation for cable and wireless, network management, and network troubleshooting . please visit http://www.dtechgroup.com/ or call 918.622.6966, or 800.743.7448. Whether you have a bad hard drive, or almost any other media that can't read be read, we can give it a try. We have recovered data from hard drives, and other media, that have crashed, failed mechanically, been dropped, run over by an 18 wheeler, or even infected by a virus. We charge a $30 fee for estimation fee, and if the drive does not need a clean room, normal restoration will be $150 more, plus any new media charges. Or you can supply your own new media; e.g., another hard drive, a USB drive, DVD, CD, etc. to copy recovered data onto. If the damage is severe and will need a clean room to repair and recover, we will give you an estimate starting at $700 and up. This, of course, will depend on the damage and amount of data recovered. If recovery is still not possible, then you will have spent only $30 and the original media will be returned. Metro is a locally owned and operated business and has been in Tulsa, Oklahoma since 1974.
dTech is a locally owned and operated business and has been in Tulsa, Oklahoma since 1978.